PTI Electric & Plumbing offers a wide range of electrical services and plumbing services to residential and commercial clients throughout Delaware County, OH. Our staff is highly qualified to provide professional electrical installations, repairs, and design services, as well as plumbing installation and repairs. PTI Electric & Plumbing can recommend energy-efficient lighting and energy solutions to save you money on all of your utility bills. Start saving now by calling (614) 916-6895 to speak with one of our energy experts. Owner Joe Konrath began his career by managing investment properties and providing maintenance, landscaping and clean outs to small businesses and residences. He built a reputation for being trustworthy, reliable, and fair with pricing. As time went on and the business grew, he gained hands-on experience with a broad spectrum of electrical services. PTI Electric & Plumbing now manages properties and offers a variety of property maintenance services, including: plumbing, electrical, HVAC, and home improvement. Columbus Electric Repair - If your Columbus area home or business is having electrical problems, give PTI Electric & Plumbing a call. PTI Electric & Plumbing electricians are licensed and experienced and can find and fix your problem fast. Columbus Lighting - PTI Electric & Plumbing can design, recommend, and install lighting for every room in your home or workplace. Call (614) 916-6895 to speak with one of our lighting designers. Columbus Commercial Electric - PTI Electric & Plumbing electricians are licensed to provide commercial electrical service in Columbus, OH. All work complies with local building requirements and Ohio commercial electrical codes. Plumbing in the Columbus, OH Area - PTI Electric & Plumbing's Columbus plumbers are Ohio licensed to perform plumbing installations and repairs. We offer plumbing design and installation for new home construction, remodeling or renovations projects, and home additions. If you are looking for a Ohio licensed plumber in the Columbus, OH area, call (614) 916-6895. Handyman Services - PTI Electric & Plumbing has always offered remodeling/handyman services. We provide electrical, plumbing, home improvement. 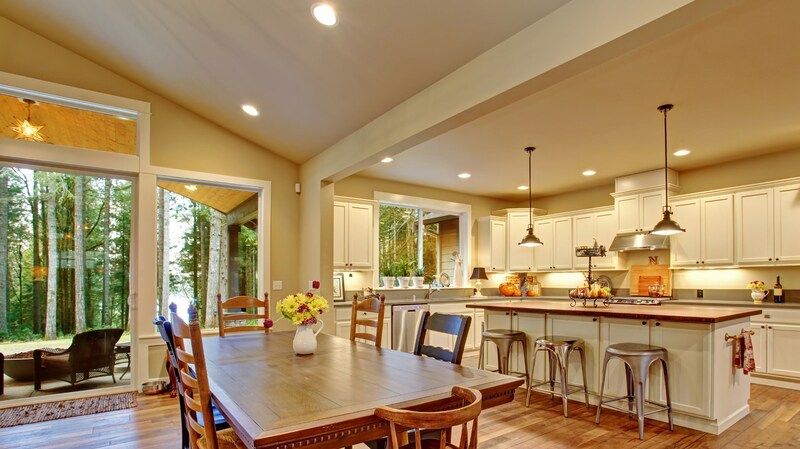 We are skilled in carpentry and middle to high end remodeling including kitchens, baths. basements, attics and any space. We also can handle interior and exterior including roofing. Visit our photos page to see some of our beautiful work! Ask How You Can Receive Credits For Energy Retrofits!